For 50 years Kooky “Tiger” Mainland, a Southern island in the Bahamas has enjoyed peace and wealth under the ruling government of the “Tiger Brothers”, a self-ruling government ruled by two brothers who have inherited enormous abundance and prosperity from gold and coal mining in the early 60’s. Through their affluence and ever-growing riches, the citizens of Kooky “Tiger” Mainland have prospered and thrive resulting in the island’s security amongst one of the best in international standings. The elder of the “Tiger Brothers”, Hu is a respectable Naval trained General who is well versed in the art of naval warfare beach landing. With his high social stature, Hu is often regarded as the Saviour of Kooky “Tiger” Mainland. His influence in the Southern Bahamas is authoritative with excellent reputation. Hu’s visions for Kooky “Tiger” Mainland is for the island to gain independence over its colonization by the Bahamas government and to generate free trades in welcoming international investors from across the world. Contrary to his elder brother, Hor, who is the younger of the “Tiger Brothers” is a well-known womanizer, drunkard and tyrant, he is often caught on the opposite side of law with his unorthodox ethics and tyrannise. His arrogance and notoriety in the island have been evidenced and witnessed by citizens of Kooky “Tiger” Mainland which include countless account of rapes and murders which many went unreported. His infamous “Torture Chambers” located in one of his many islands where one could be seen entering but never to be seen again was a well-known urban legend that send shivers down the spines of many. However, his brutality and short triggered temper did not go unnoticed by the International Human Rights body which sent an extradition warrant against him. Hor’s infamy sins was rumoured to include his partnership with top Colombian drug lords, the Angelic People Association (APA) in expanding their drug distribution across the Bahamas islands. On numerous occasions, the older brother would advice his younger brother to mend his ways, but his instructions were left unheeded. To fulfil his ambition in gaining international support and recognition for Kooky “Tiger” Mainland to be an independent state, it is apparent to Hu that Hor’s blatant manner must be stopped. With the assistance of his most trusted men from the Imperial Guards, General Hu was secretly planning to serve Hor an exile out of Kooky “Tiger” Mainland and banish him from further tarnishing the rising credibility that he has established. Despite Hu’s undisclosed planning, Hor was quick to learn of his expatriation and flee to King Kong Island, a nearby lookout island located in the Southern mainland. Hor knew that his escape would result in International attention on his brother’s ambitions on the island’s claim for independence and his actions would gravely cause his brother to completely expunge him from his independency plans. Before his runaway, Hor looted Kooky “Tiger” Mainland’s Treasury of its massive gold and diamonds deposits and along with him recruited a battalion of war militias and veterans who had served under the old governance and were reluctant to change with passing time. Most of the war veterans took pity on the younger “Tiger” for the way in which he was treated by his elder brother and decided to follow him to the island. Having followed their fathers through thick and thin in his rise of powers, cutting his younger brother out of his inheritance has created displeasure among the older guards who has fought alongside their father in his seek of glory. As King Kong Island is strategically located on the geographical map where ships had to sail through as one of the main sea entries into Kooky “Tiger” Mainland, many commercial ships were seized and held for huge ransom by Hor’s growing hostility affecting foreign investors into the mainland. It wasn’t long until Hor’s rebellious nature went on to stake his claim of King Kong Island calling himself President King Kong of the Bahamas islands. With mounting pressure from International bodies and his determine will to eradicate this ever-growing aggression from his younger brother, General Hu has decided to eliminate Hor’s disassociation from his ambition by launching a beach head invasion named Operation Double Cross on King Kong Island! Are you ready for this operation? Players with their own paintball equipment may use them. All rental equipment are provided only upon request during registration. Please indicate when you register if you would require any rental equipment. Your slot is not confirmed until payment is complete and receiving a confirmation email from the organizers. ** It is compulsory to email a printscreen/screen capture of the online transaction in .jpg format to info@weplaypaintball.com as proof that the transaction for the payment was successful (as we will not be able to verify otherwise). from 4.00 pm onwards to late at KTM Resort. Administration – Players check-in and distribution of standard issued. 8.00 pm – Welcome and Opening Ceremony by Organizers. 8.10 pm – Speech by President King Kong from Red Liberation Force and General Cannon from Blue Republican Army. Participants are allowed to choose their preferred accommodation during their stay in Batam. You may also choose to not stay in Batam before and after the event. Do take note of the timings in Schedule Of Events, latecomers will not be entertained and will be rejected from games for being late with no refunds. KTM Resort is the meetup point before heading off to “King Kong Island”. KTM Resort is located in Batam island and is approximately 10 minutes (by car) from Sekupang Ferry Terminal. Once you have purchased your ferry ticket do update KTM Resorts so that land transfer can be arranged. There are 3 ferries services from HarbourFront to Sekupang Ferry Terminal (Majestic Fast Ferry, Batam Fast Ferry and Sindo Ferry). KTM Resort will be offering a special accommodation package for 3 days 2 nights stay from Friday to Sunday (18 Jan – 20 Jan 2019) for participants. Any other inquiries on accommodation customization/changes please liaise directly with KTM Resort. Family Cottage entitled to stay a maximum of 4 persons and allowed to add maximum of 2 extra beds. Seafront Cottage entitled to stay a maximum of 2 persons and extra bed is not available for this room type. Deluxe Cottage entitled to stay a maximum of 2 persons and allowed to add maximum of 1 extra bed. All accommodation arrangements, pick up, drop off from ferry terminal etc must be arranged directly with KTM Resort. First come first served basis. For all enquiries and bookings, please contact Harry from KTM Resorts directly. Q1) What is Operation Double Cross (ODC)? 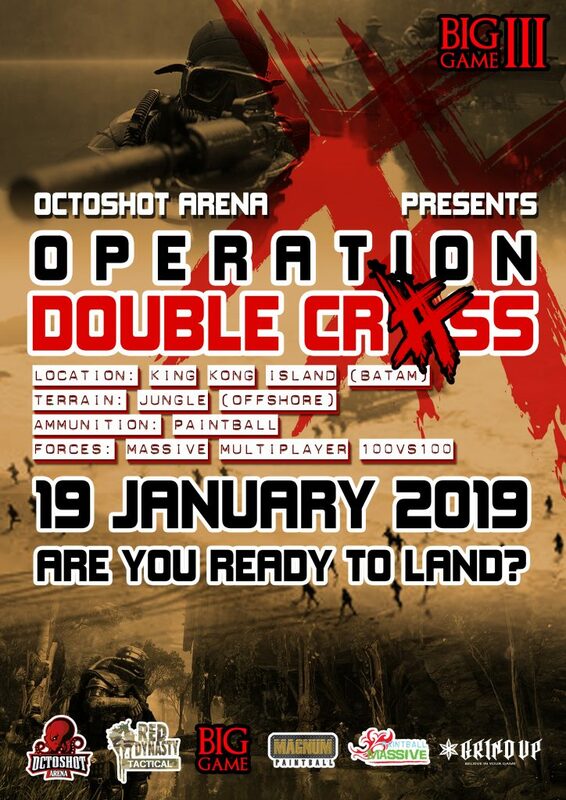 ODC is a massive 100 versus 100 players scenario paintball game organized by Octoshot Arena and supported by Red Dynasty Paintball Park, Magnum Paintball, Paintball Massive, Grind Up and KTM Resort. Q2) When and where will ODC be held? A: ODC will be held in a remote island near Batam on 19 January 2019 (Saturday). Q3) How do I register for ODC? Choose a side and click on the following link to register. Q4) What is the cost of registration? From now till 10 December 2018, the cost of participation will be S$119.90 per person. From 10 December 2018 to 10 January 2019, the cost of participation will be S$149.90 per person. Q5) What is included as part of the registration fee? Q6) Can I top up paintballs for the game? Yes, you can. Paintballs will be sold during pre-event at S$25.00 for 500 paintballs. Paintballs can be purchased on game day at S$35.00 for 500 paintballs. Players are advice and encourage to purchase paintball before game day. Q7) When do we have to arrive Batam? Please refer to the Schedule of Events on main page. Participants are advice and encourage to arrive Batam on 18 January 2019 (Friday) and to attend the Opening Ceremony at KTM Resort on 18 January 2019 at 8.00 pm. Q8) Where do we set off on event day? All participants MUST report at KTM Resort for attendance taking on 19 January 2019 (Saturday) before game commencement. Q9) Is there an accommodation package offered to the participants? Participants of the event are free to choose their accommodation from the many resorts and hotels in Batam. For the ease of coordination and preparation, we encourage all participants to stay in KTM Resort which has offer an accommodation package to all ODC participants. Please refer to Accommodation tab for prices. 3 beds accommodation (Deluxe Cottage + 1 extra bed) starts from S$168.00 for 3 Days 2 Nights (S$28.00 per person per night). Q10) Can I make a day trip to Batam for the game and return on the same day? Yes, you can. It is advisable for you to choose to play in the Blue Republic Army (Tiger) if you are choosing to make a day trip. Please be advised to take the first available ferry out of Singapore to Batam (Sekupang) and arrive KTM Resort by 8.00 am on event day. Late comers will not be entertained and will be rejected from games for being late with no refunds. Q11) Will there be animals on the remote island? What are the safety measures? As the paintball games will be conducted on a remote island, there are bound to be animals on the island. Sightings of animals and insects such as snakes, monkeys and ants have been reported. Participants are advice to stay clear of animals at all times. A medical doctor will be on site to handle emergency situations due to injuries. A speedboat will be catered for emergency evacuation to Batam and will reach mainland within 15 minutes. Q12) Is there an age limit to participate in ODC? 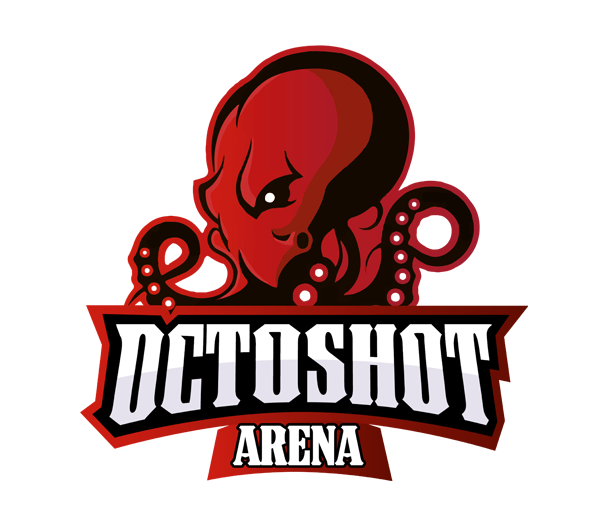 Players will be need to be 14 years old and above to participate in ODC. Players between 14 – 18 years old must seek parental consent before participation. Q13) How can I bring my own paintball equipment to Batam? Upon registration with complete payment. Participants with personal paintball equipment (e.g. 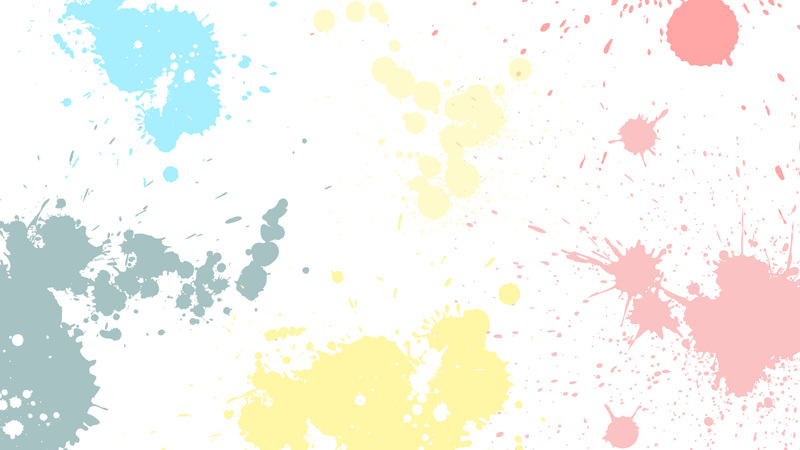 paintball marker) MUST contact the organizer for Custom arrangement with the governing authorities. Paintball markers which has not been approved for use will be rejected during the event and maybe subjected to confiscation by the governing authorities. Q14) What do I need to wear and bring? You can wear any military simulation (milsim) uniform and dress up for the event. Covered shoes, long sleeves shirt and long pants are strongly advisable. Other accessories such as caps, sun shades, scarf, water bottle are strongly encouraged. Q15) What time will the game end? Depending on the weather condition and game scenario on event day, we have plans to complete ODC and return to KTM Resort by 4.00 pm. 100 VS 100 PLAYERS. JOIN NOW! If you have enquires do contact us at info@weplaypaintball.com or call us at + 65 6659 4782 / +65 6659 8095 / +65 6755 7537.